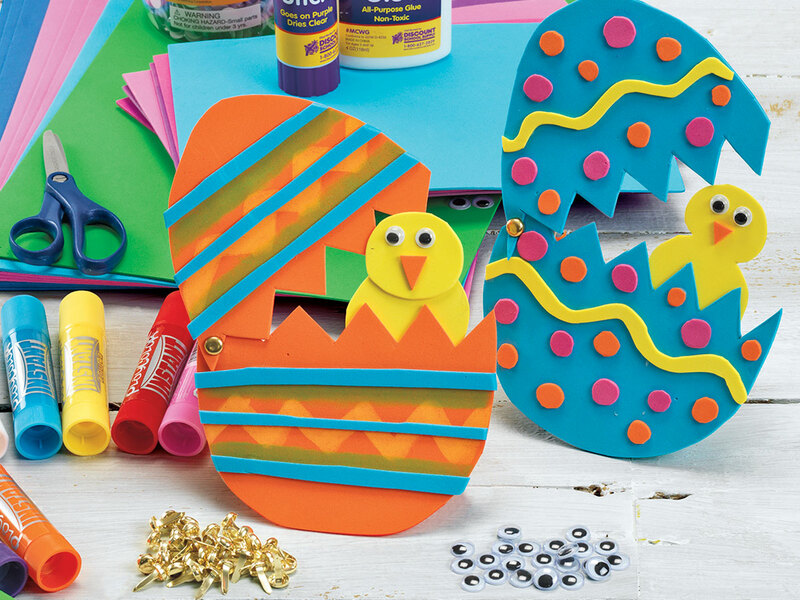 A fun craft to celebrate Easter! You may want to create an egg pattern for the children to trace onto their pieces of foam before cutting. This is a rather sophisticated activity for young children. Resist the temptation to do the work for the children. You should only prepare elements of this activity that are impossible for the children to do themselves (e.g., cutting foam may be a challenge for some). Have the children cut a foam sheet into an egg shape. You may want to provide a pattern for the children to trace prior to cutting. Have them cut the egg in half with a zig-zag pattern. Punch a hole and add a metal brad to the side. If hole punching is difficult for young children, an adult may have to do this step. 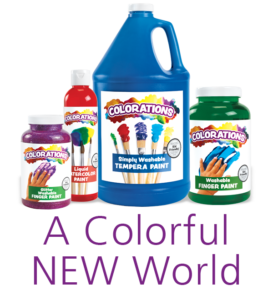 Have children decorate the egg with PlayColor®, stickers, and other collage materials. Have the children create a foam chick by cutting different sizes of circles. Add eyes, a beak, and anything else they wish to add. Have the children tape the chick to the inside of the egg for an Easter surprise!